I have a very large stock of Icelandic stamps and will be happy to send stamps on approval from your want list. Please let me know how I may be of assistance. Virtually all aspects of Icelandic philately are in stock. If you are seeking stamps, booklets, first day covers, maximum cards, Christmas seals, revenue stamps and documents, mint and used postal stationery, etc., please send your want list. 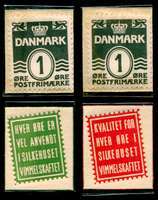 Also postal history and postmarks are available from all time periods. Downloadable and printable (PDF files) price lists are available here for all-Scandinavia and for each of the individual Scandinavian countries, as well as United States and Worldwide. The PDF lists include virtually everything on the website as of the date the PDFs were created (every few months), but do not contain images. Please refer to the website for the most current information. Printed price lists sent by postal mail are available here for each of the individual Scandinavian countries, as well as United States and Worldwide. The printed lists include virtually everything on the website as of the date they were printed (every few months), but do not contain images. Please refer to the website for the most current information. Other Iceland listings below. . . The complete price list of all conditions and qualities currently in stock: a total of 72 pages. This list is probably the most comprehensive on the Internet, with up to three levels of condition and up to five levels of quality for each item. There are over 3600 priced listings. 99.5% of the stamps have illustrations. Iceland NEW ARRIVALS: New in stock, usually one of a kind; get them before they are gone. Scott #193 To Date: 1935-on: Geysers, Fish, New York Worlds Fair, Karlsefni, etc. 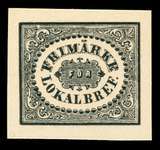 Nice looking stamps with small faults at bargain prices.